The Greer, South Carolina community of dance is a beautiful thing. With so many different personalities and backgrounds, the people who love dance find meaning in another's arms as they rhythmically move across the dance floor of life. Voted "Top Competition of the Year" for three consecutive years at the North American Dance Awards! West Coast Swing Dance lessons, events, and places to dance. I would love to learn more about shag and line-dancing. I am single and new to the area. I need classes after 500pm. I am a 57 yr. old female. 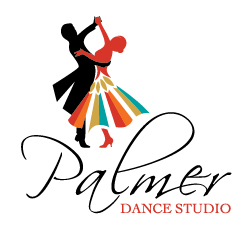 Swing or shag lessons and dances that occur regularly, open to intermediates (me) and beginners (my girlfriend ), with an opportunity to fine tune the basics and learn and perfect new moves. Must be Friday, Saturday, and/or Sunday. I want to get my wife and I swing dance lessons as a Christmas gift so that we can go dancing on dates. Classes as a group, want it for exercise and fun. for my husband and myself. we are 55 years old.